[NEWS/PHOTOS] Nightflyers Production Launch – February 9, 2018. Thanks to @FarFarAwaySite, I just added some HQ photos of the Nightflyers Production Launch last February 9, 2018! As you know, Eoin is playing a new role on netx SyFy’s production and you could have followed his journey through Twitter or Instagram! Best wishes for this new production and hopefully we’ll see him a long time on screen again! Check them out in our gallery, thanks for your support! [PHOTOS] NBC Universal Summer Press Day at The Beverly Hilton Hotel – March 20, 2017. Thanks to @FarFarAwaySite just added some old HQ photos of the NBC Universal Summer Press Day at The Beverly Hilton Hotel last March 20, 2017! Check them out in our gallery, thanks for your support! [NEWS] ‘Resident Evil: The Final Chapter’ Cast at #NYCC. Screen Gems comes to New York Comic Con for the first time with a sneak peek inside two of their landmark horror film franchises. 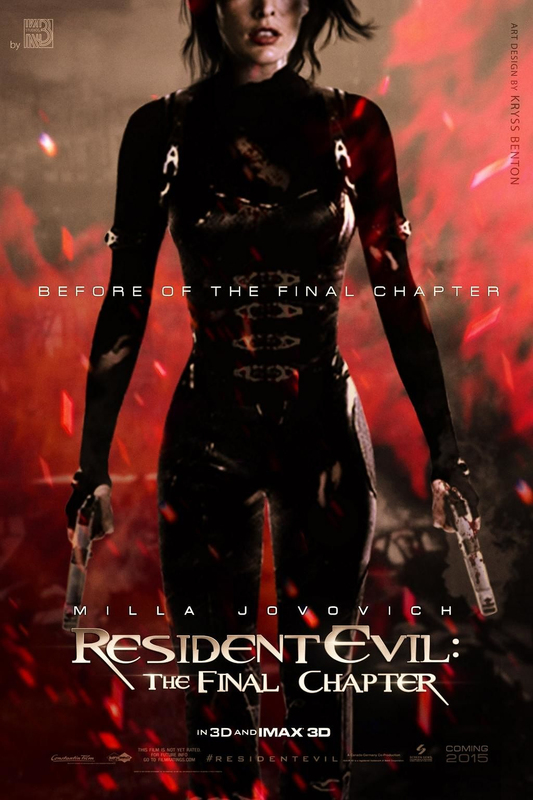 Resident Evil: The Final Chapter: Alice (Milla Jovovich) must return to where the nightmare began – The Hive in Raccoon City, where the Umbrella Corporation is gathering its forces for a final strike against the only remaining survivors of the apocalypse. Underworld, Blood Wars: The next installment in the blockbuster franchise, UNDERWORLD: BLOOD WARS follows Vampire death dealer, Selene (Kate Beckinsale) as she fends off brutal attacks from both the Lycan clan and the Vampire faction that betrayed her. With her only allies, David (Theo James) and his father Thomas (Charles Dance), she must stop the eternal war between Lycans and Vampires, even if it means she has to make the ultimate sacrifice. Hey yo, guys! Don’t know if you already knew about this but, our beloved Eoin Macken is attending ew York Comic Con next October 7th as part of the Resident Evil’s cast! Head up to the con in order to see him in an, surely, amazing panel about the upcoming film that premieres next year! In my case, thanks to the lovely @iamqueenfal for the info! [NEWS/PHOTOS] NBC Night Shift cast on the NBC Red Carpet and more! Good morning everybody! As you guys could see yesterday afternoon, the cast of NBC The Night Shift, due to his news about getting renewed for a third season, was on The 2015 NBC Upfront Presentation Red Carpet Event sharing their love and being so funny with everybody (even photobombing other celebrities pics!). So, thanks to farfarawaysite, I’ve added 3 HQ pics from the event and 8 from the New York UpFronts Party Hosted By People and Entertainment Weekly, enjoy them in our gallery! THE 2015 NBC UPFRONT PRESENTATION RED CARPET EVENT - MAY 10, 2015; NEW YORK. NEW YORK UPFRONTS PARTY HOSTED BY PEOPLE AND ENTERTAINMENT WEEKLY - MAY 11, 2015; NEW YORK. [PHOTOS] NBC Universal’s 2015 Winter TCA Tour Pics! I’ll update this post as much as we will add more and more pics about the event! Take a look at them, thanks to @danedehaanorg for the pics and @brendanfehrnet for the tip! And, finally, thanks again to farfarawaysite for the rest of the pics that we’ll be adding soon! UPDATE: Four more pics of Eoin with Jill being adorable and looking awesome yesterday! farfarawaysite, you got this, thanks! UPDATE: added 8 HQ portraits of Eoin Macken (and her fellow in NBC The Night Shift, Jill Flint) yesterday January 16th at the Winter TCA Press Tour! Thanks to farfarawaysite for them all! [PHOTOS/VIDEO] NBCUniversal’s 2015 Winter TCA Tour! Today the cast of The Night Shift was attending the Winter TCA Press Tour 2015, answering some questions about the incoming new season and looking awesome as always! Here you have some pics from the public event, we’ll be uploading more as soon as they’ll be released, thanks to farfarawaysite for the current ones! More than that, as soon as the Q&A ended, NBC The Night Shift published the first trailer of the season (not preview this time, more than that!) you can see it down below! Enjoy it, guys! The new season is about to start! Stay tuned, will be uploading all pics as soon as we can!